#WavyWednesdays continue with new Playboi Carti as well. Last week, A$AP Mob's #WavyWednesday brought us new tunes from A$AP Ferg and A$AP Twelvvy. 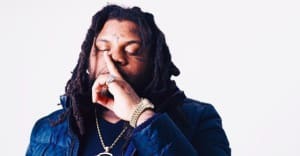 This week is another double dose, with A$AP Ant dropping the Fat Trel-assisted "The Way It Go Pt. 2" and Mob associate Playboi Carti sharing a collaboration with Uno The Activist entitled "Vlone Thugs". Stream both tracks below.